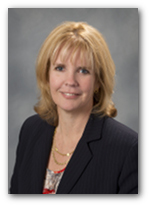 Stacy L Walker, Partner at Walker & Eakes LLC an Anchorage Alaska insurance defense law firm. Stacy Walker graduated from Brigham Young University with her law degree in 1991 and served a two-year clerkship with the United States Court of Appeals for Veterans Claims. In 1993, she joined the Air Force as an Assistant Staff Judge Advocate. While in the Air Force, she prosecuted and defended criminal cases along with defending the Air Force in labor law cases before the Merit Systems Protection Board and other adminstrative boards. During her last two years in the Air Force, she tried criminal cases across the western United States. Stacy Walker has tried over 65 jury trials to verdict as lead counsel. She has represented clients in hundreds of judicial and administrative proceedings before Alaska, Federal, and military officials. In 1999, she left the Air Force and joined the Alaska Public Defender Agency as a felony attorney. She tried over 25 cases before leaving criminal defense and beginning civil defense in 2002 at Richmond & Quinn. She made partner in 2005.